Carnival in Taormina as been for many years a very important tradition where thousands of people use to come and see the artistic parades created by the local people, floats created with flowers or made of papier-mâché representing many different and funny themes. The perfection that float artisans reach is absolutely stunning and requires hard work. 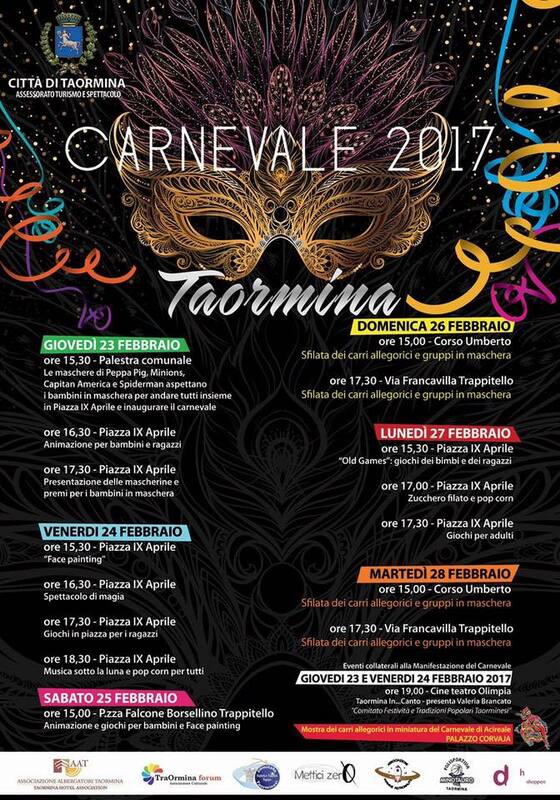 This year Carnival in Taormina 2017 is well organized and provides a program which will indeed be fun for adults and also for kids ! 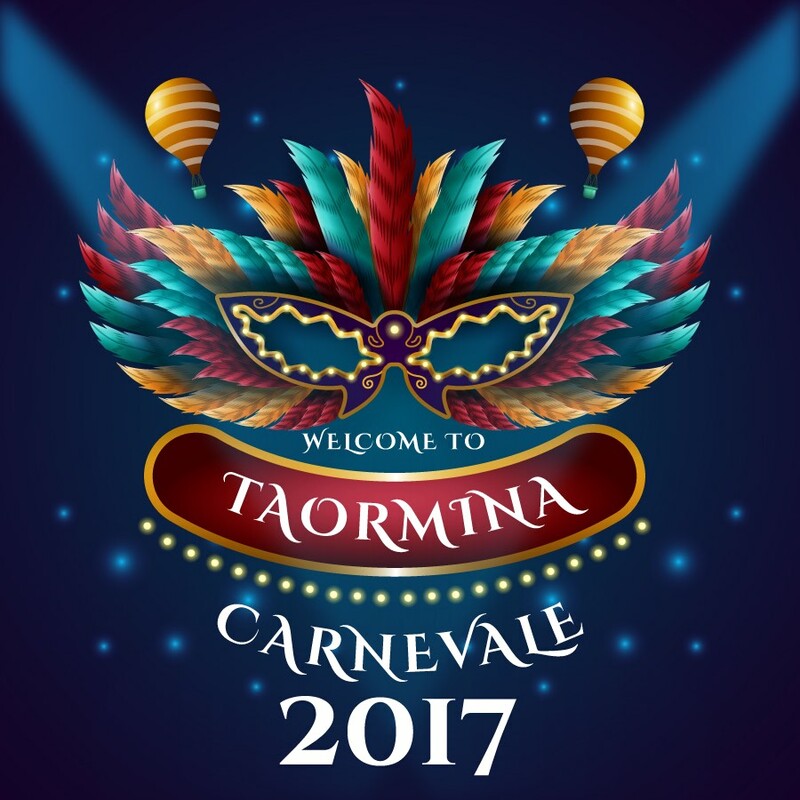 From the 23th to the 28th of February come and visit Taormina to celebrate this colorful and allegoric tradition, with music, lights and dance performances we will make your winter holiday unique and unforgettable !